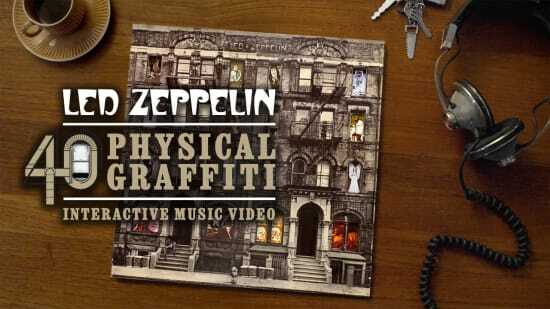 To celebrate the remastered release of Led Zeppelin’s iconic Physical Graffiti album, the band brought the album original iconic cover to life in a video for a rough cut of “Trampled Under Foot”. 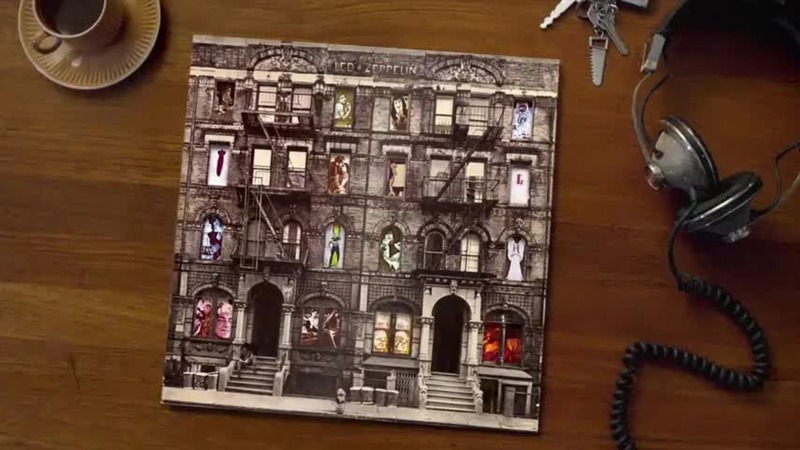 The original album cover features a photograph of a New York City tenement block, with interchanging window illustrations. In the interactive music video, clicking on any of the 16 windows takes the viewer “inside” 96/98 St Mark’s Place, New York, the tenement block that appeared on the album cover. Viewers can watched a group of girls dancing in their apartment, a boy rocking out in his bedroom, or even a woman singing in the shower.